Aquilia Dance Academy is the brainchild of Rosario Privitera, who founded Aquilia Dance International in via Caronda Acireale, Italy in 1998. Aquilia Dance Academy Singapore is the Asian chapter of its predecessor, ​ A.D.S.D Aquilia Dance International , and represents the continuation of its founder's passion for dancing and dance education. We offer affordable courses in Latin and Standard Dancesport both at the social and competitive levels. Our available courses also include Latin Carribean Social Dances, Customised Performance Choreographies, Formation Team Dances and Dance Fitness. In our dance academy, we want our students to have the best dancing experience both in learning and having fun! 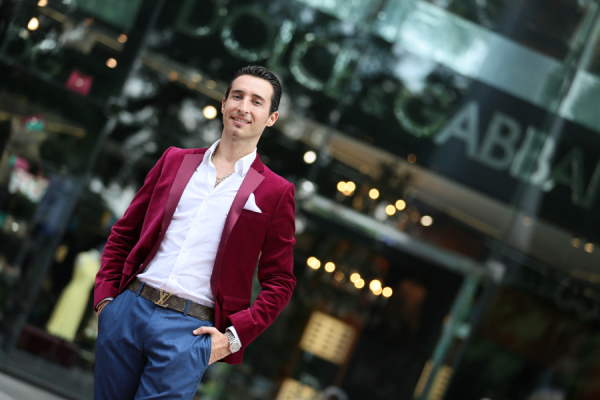 Rosario is also a certified and licensed Teacher of Dance approved by both Federation of Italian DanceSport (FIDS) and United Kingdom Alliance (UKA). Currently also a WDC Certified International Judge for Latin & Ballroom. Joy Stephanny has been a competitor specialising in Latin American DanceSport since 2002. She is also a certified Teacher of Dancing validated by United Kingdom Alliance (UKA). She started her formal dance training in Vancouver, Canada under Australian coach Glen Brennan and Russian coach Ekaterina Michtchenko in 2001 and continued her dancesport training in Singapore in 2005. As an afficionado of styling and performance dancing, she specialises in Showdances and Choreography of Wedding Dances. It began as a mere hobby to kill time, but Germine soon found that her passion for Latin Ballroom led her to become more involved in the scene. Trained by Aquilia Dance Academy's Principal, Mr Rosario Privitera, she has also pushed herself to hone her skills through taking part in various competitions to help herself understand the demands of competitive dancing. Her experiences have led to her strong belief in setting the foundation right for each dancer who passes through her hands. With this in mind, she now coaches various groups from young children and youths to adults and seniors, to equip them with the necessary skill set for their own Ballroom journey. At Aquilia Dance Academy, many beginner and intermediate latin ballroom enthusiasts are inspired by her patience and meticulous teaching style. 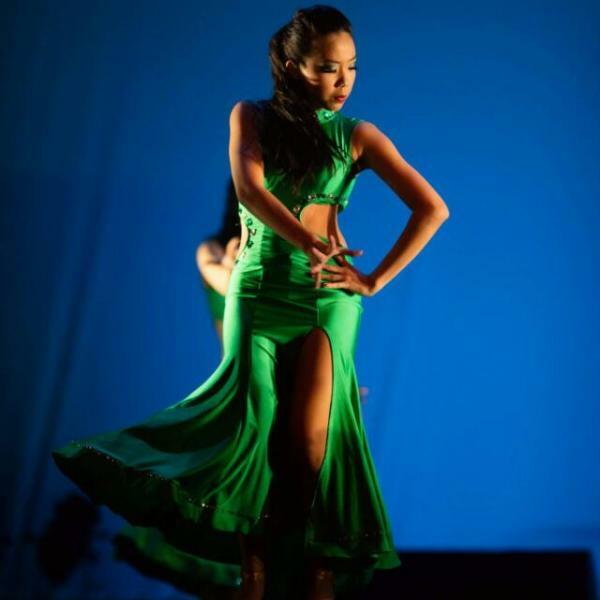 Yukie has been an active Latin American Dancesport Competitor at a young age. A passionate and competitive dancer, she strongly believes in strong foundation and infinite discipline in her dance training. She carries this same attitude towards her teaching. A certified Student Teacher by the ISDT, Yukie takes pride in teaching and training both children and adults in latin american dancing. Evangelyn (WeiLin) first began her Latin Ballroom journey through a ballroom performance group in Nanyang Polytechnic (NYP) in 2006, before specialising in Latin in 2007. Azri first entered the world of Latin Ballroom when he saw the CCA performance in NYP in 2007. Since then, they have not looked back and continue their passion by training, competing and teaching actively. In 2014, Evangelyn and Azri formed their partnership and participated in their first competition together in 2015. Trained by Nicolas Garcia, Masha Turlopova and Rosario Privitera, they pushed, motivated and inspired each other to improve. Over time, the duo had sharpened their skills and competed in many competitions locally and internationally. They are instructors of La Ballroom En Masse (NYP) since 2016 and helmed the club’s past two productions as the choreographers. They are also Singapore's top Amateur Latin American couple in 2018 (SBDTA).